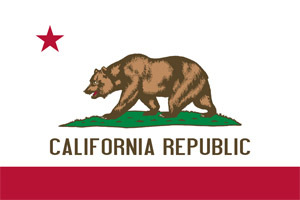 California is the largest state in terms of population and the third largest in terms of area. It is located on the West Coast of the United States. Its borders are Oregon to the north, the Pacific Ocean to the West, Baja California of Mexico to the south, Arizona to the southeast, and Nevada to the east. The state capital is the city of Sacramento, while the largest city is Los Angeles. In recent history, California has been victim to massive fires due to drought and negligence. These wildfires that rage throughout the southern part of the state have led to great loss of property and lives. In October of 2007, the fire that forced 300,000 people out of their homes was thought to have started when a power cable was knocked down by strong wind, which in turn ignited the dry grass. On a lighter note, California is also been home to hundreds of popular personalities because of the movie industry in Hollywood. We can also look back in history for some truly remarkable ones. One of which is San Francisco’s “His Imperial Majesty Emperor Norton I, Protector of Mexico”. He issued his own currency, decreed the Congress dissolved, decreed that the Democratic and Republican parties be abolished.